Recently there have been several posts on the Nxt and Ardor subreddits asking about Ignis: Why did Jelurida create it? What problems does it solve? Why would people want to use it? I suspect that for a lot of longtime members of the Nxt community, the answers to these questions are self-evident. For newcomers, though, it’s a fun and helpful exercise to brainstorm interesting applications of the Nxt/Ardor tech. In that spirit, I replied to one of those posts with a few thoughts about what you can do with Ignis. I figured Nxter readers might be interested to hear them, too, so I’m posting them here for you to consider. So what’s special about Ignis? 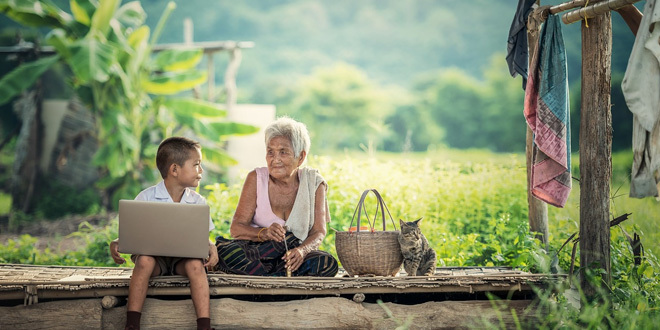 In a nutshell, Ignis is the only child chain on the Ardor platform that is guaranteed to be permissionless and to support all available features. It will have basically all of the features that Nxt currently has, plus a few new ones (see apenzl’s excellent write-up for a survey of the new functionality). If you’re new to Nxt and Ardor and haven’t spent some time with the full client yet, I’d strongly recommend you do so. It’s quite impressive just how much you can do with the built-in features. Without further ado, here are a few examples of ways you might use Ignis, most of which apply to Nxt, too. Suppose you and some friends own a rental property. You can create an asset on Ignis to represent shares of the property and distribute the shares among the co-owners. As the property earns money, you can pay dividends to the owners in proportion to the amount of the asset that they hold (this is a built-in feature). They can freely buy or sell their shares in it (another built-in feature), making it easy for them to take on as much or as little risk as they are comfortable with. If you need to make a collective decision, like whether to remodel it, you can conduct a poll of your asset holders (another built-in feature) where their votes are weighted by their share of the asset, or where each person gets an equal vote, your choice. Suppose you want to conduct a Kickstarter-like crowdfunding campaign, where your supporters don’t have to pay unless you meet your fundraising goal. The Monetary System on Ignis supports exactly this application, among many others. You can issue your own “currency” (token) to represent a receipt of payment from your backers, set a deadline for the fundraiser, and make the transfer of funds conditional on raising at least some minimum amount of money. All of this is built-in functionality. As your project progresses, you can send your supporters messages using the Messaging System with updates on important milestones. Finally, when your project turns out to be wildly successful, you can pay bonuses to your early backers proportional to their share of your tokens. Suppose you own a video game store and Nintendo announces that they’re selling a Nintendo64 Classic. You know that you’ll only receive a limited quantity. To save your customers the hassle of lining up outside your store at 5 am to try to get their hands on one, you decide to offer them an opportunity to buy vouchers ahead of time, which they can exchange at their convenience for the game system. You’re worried that scalpers will buy up all of your vouchers at MSRP and resell them for a huge markup, though. 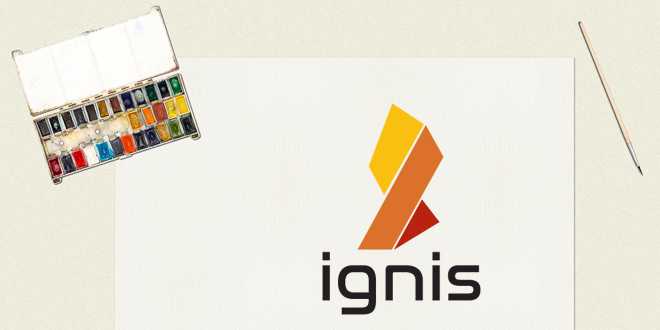 You decide to issue your voucher through the Ignis Monetary System as a controllable currency. This means that you can sell it at a fixed price and buyers can’t resell it later to anybody but you. When the account holder later visits your store, you buy back the voucher for next-to-nothing and give him or her a Nintendo64 Classic in return. Suppose you want to start a hedge fund like Numerai. You want to issue a token that can only be held or traded by data scientists, whose models you want to collect and evaluate. You first solicit applications from data scientists through your website and decide whether they’re worthy to participate. The candidates you’d like to enroll send you their Ardor addresses, and you use your account to mark their accounts with a special property indicating that they are eligible to participate. Next, you issue an asset on Ignis using the new Asset Control and Vote by Account Property features, and specify that your asset can only be traded by accounts with the property you used to designate eligibility. You then make payments of your asset to each account proportional to how well the account holder’s models perform, and you pay dividends to all asset holders in proportion to their holdings. The result is that people who submit the best models get the biggest shares of your dividends. Perhaps you charge your users a fixed quantity of your asset for each model they submit, both to ensure they have some skin in the game and to help redistribute the asset away from the users who submit the worst models. Since Ignis supports sending short messages along with payments, a user could annotate such a payment with an ID number that corresponds to the submitted model, allowing you to easily track which models’ submission fees have been paid. Suppose you want to start a crowdfunded venture capital firm. You want to sell shares of your firm to raise money, allow shareholders to vote on which projects to invest in, and pay them dividends in proportion to their holdings. You like the idea of making the investment decision somewhat decentralized, but you’re nervous about using a strict decision-by-majority investment model. As a hedge, you’d like to allow a supermajority of your board members to veto investment decisions made by your investors. You can issue an asset on Ignis representing shares of your company, then make payments to the companies you invest in using composite phased transactions, another new feature. You can set the phasing conditions to say that each payment succeeds if at least a majority of your asset holders approve of it and less than eight out of your ten board members try to veto it. If these conditions are met, the company gets funded. Otherwise, the transaction does not occur. And how do you elect your board members? Why, the built-in voting system, of course. These examples barely scratch the surface, but hopefully, they give you an idea of the kinds of things Nxt and Ignis can do. Note that you can do any of these things using just the standard Ardor wallet. If you’re a programmer, though, and you want to make things a little easier on the people you’re interacting with, you can write an app with a custom interface that interacts with Ignis only on the backend. Your users don’t even necessarily need to know that they’re transacting on a blockchain. Along those lines, I’d suggest that most of the things you would want to do on Ethereum can also be done on Ignis. As I’ve argued before, writing secure smart contracts on Ethereum generally requires either keeping them very simple or introducing some trust between users and developers. In the former case, Ignis’s smart transactions often substitute directly for smart contracts, and in the latter case, you might as well move most of your code off-chain and only use the blockchain for the parts that really need to be trustless. Either way, I don’t think the extra flexibility that smart contracts offer is quite as big an advantage as it appears to be at first blush. So if you find yourself wondering what value there is in Ignis, first ask yourself what value there is in Ethereum. For each example application you come up with, try to convince yourself that you absolutely could not use Ignis to accomplish the same goal with a similar degree of decentralization. If you share my concerns about the security of complex smart contracts that are truly immutable, you might be surprised at how similar the potential applications of both platforms are. In any event, I hope these examples help put into concrete terms just how much functionality Ignis offers. If you can think of other (better?) examples for how to use Ignis, please add them in the comments section! And as always, I’d greatly appreciate constructive criticism. Another insightful piece of work – thanks! Why do you think ‘It is not a big deal” if SEC consider some tokens as securities? Is it easy to register with them for you guys? I don’t actually know how difficult it is to register with the SEC as the issuer of a new security. If that process is especially expensive or burdensome, then I suppose I should take back what I wrote. When I said that, I was referring to concerns I’ve heard people raise, mostly on reddit and crypto blogs, that regulators might try to “crack down” on cryptocurrencies. The SEC’s decision that DAO tokens were indeed securities seemed to prompt a lot of concerns like that. As far as I can tell, the SEC is quite happy to let investors throw money at stupid things, so long as the people who offer those things have not deliberately misrepresented themselves, e.g., by submitting fraudulent accounting records. Or, to put it another way, the actions that the Chinese government took earlier this year–instituting a moratorium on ICOs and shutting down exchanges in order to “protect” people from dangerous investments–would be quite radical (and maybe illegal) for the SEC to take. Still, now that I think about it I wonder whether I might have been too quick to dismiss concerns over the SEC’s entry into the cryptosphere. For one thing, exchanges and brokers who trade securities must also register with the SEC, along with some professionals who offer investment advice. The former group, and possibly the latter, must comply with a host of regulations, including KYC and AML laws, which might be expensive. I also wonder whether those laws might exclude some people who would otherwise like to participate. I’ve read horror stories about banks closing accounts or forbidding certain people to open accounts out of fear of falling afoul of AML laws, for example. It would be a shame if that kind of thing started happening in crypto, too. And thanks for the great question! Full client link seems to be broken. Thanks. Actually it seems it doesn’t work on chrome when adblock is on. Tried to open in incognito and then it did open with adblock as well. Seems initially adblock doesn’t let some cookies to get downloaded. Just guessing. There is a perception in the YouTube media that the Ardor/Ignis combination will make NXT obsolete and the NXT token worthless. Is that true? Hi there! I’m sorry for the very slow reply. I was quite excited to read your comment! Would you care to elaborate a little? Or if you’d prefer not to share your plans publicly, I completely understand. I actually work at a company that makes data acquisition software that a lot of process-industry companies use, including chemical and pharma companies, so I’m vaguely familiar with some of the challenges unique to those industries. I’m a developer, though, so I don’t know nearly as much as our sales staff. One thing I do know, though, is that those customers in particular–especially pharmaceutical companies–have to do a *lot* of work to keep extensive records for audits by regulators. Traditional databases are perhaps not the best choice for regulatory compliance: it is often difficult and always expensive to replicate them for redundancy; there’s a security risk inherent in designating a DB admin to be gatekeeper; and at the end of the day they’re usually mutable, so there’s no real way to prove that records haven’t been tampered with. A well-designed blockchain application could solve all of these problems. The blockchain is basically an append-only database with a built-in timestamping feature. If the app was designed correctly, it would be trivial to prove that a particular piece of data (or report, or whatever) existed at a specific time and hasn’t been tampered with since then. I don’t know if regulators would see value there, but it sure seems like they ought to. The drawback is that blockchains don’t scale nearly as well as traditional databases. But if you’re only storing summary reports for regulators, or perhaps hashes of batches of data that has been stored somewhere else, which would be sufficient to prove that the data hasn’t been tampered with, then a blockchain might be perfectly adequate. Anyway, I’m not sure if any of that resonates or if I’m just rambling, but since you mentioned you’re interested in process industry applications I thought I’d throw that out there. In my opinion, Ardor and Ignis basically replace the Nxt public blockchain, but not necessarily the Nxt platform. Specifically, I think it’s possible that some projects looking for a good, open-source starting point for a custom blockchain will choose to fork Nxt over forking Ardor because the latter might be a bit more complex than necessary for the project. Moreover, if the project requires heavy modification of the code, it’s likely that a child chain on Ardor wouldn’t be an option either. The upside for NXT holders is that each time Nxt is cloned for a *public* blockchain, NXT holders are entitled to an airdrop of at least 10% of the new blockchain’s coins under Jelurida’s license. The license doesn’t specify terms for private clones, though, so I’m not sure if there’s any royalty in that case. I’m also not sure how many public clones of Nxt to expect, or what their value would be, but I wouldn’t put too high a premium on NXT just for that aspect. Prior to the IGNIS airdrop, NXT was trading for five or six cents USD. I kind of expect it to drop back near that level, eventually. After this article I still fail to understand exactly what I need the currency called Ignis for. What types of transactions is Ignis the currency required for?